Hertford St Andrew is part of the Global Learning Programme (GLP) and is committed to equipping our pupils to make a positive contribution to a globalised world, learning about development and global issues. prepare pupils for modern life in Britain by promoting values such as empathy, fairness and respect. deepen our knowledge and understanding of global issues. 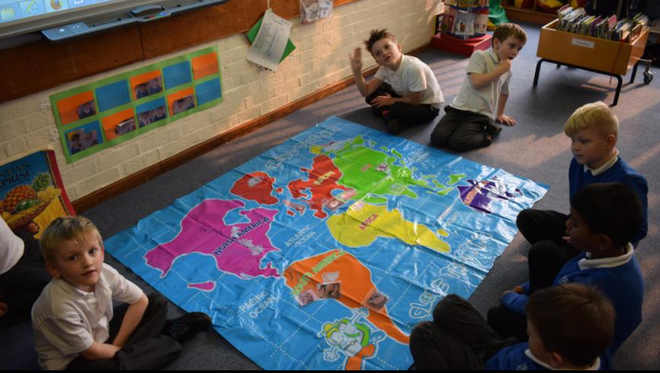 Every topic we do as part of the IPC has a global learning link and big issue that is explored. Theses issues are then shared as part of an assembly with the school community. We are also implementing the 17 Sustainable Development Global Goals into our curriculum by having various projects. By working with the school council, Hertford St Andrew has organised many projects for our children all across the school. These projects can be found on our Global Learning Blog and by clicking the picture below.